We wish Sidney Lumet had won the Best Director Oscar for the 1957 ensemble drama 12 Angry Men. The poor slob didn’t have a chance. The Bridge on the River Kwai was the juggernaut that year, winning seven out of eight nominations. A black and white movie about twelve men talking in an meeting room is no match for a sweeping technicolor war epic. Lean deserved an Oscar, in our opinion. But we like to think, had 12 Angry Men been released any other year, Lumet would have scored the top prize. Now, we weren’t kidding about the premise of 12 Angry Men. This really is a movie about jurors debating whether an 18 year-old teenager is guilty of murdering his father. There are no car chases, no romantic interludes, no gun fights. These men sit at a boardroom table and talk. This movie is so riveting, you cannot take your eyes from the screen. It has a brilliant screenplay with a perfect cast, e.g. Henry Fonda, Jack Warden, and our fave, Lee J. Cobb. It also has a director who pulls you into the screen and makes you feel as though you’ve been sequestered in the same room as the jurors. The movie opens as the trial judge finishes giving his instructions to the jury. As the jury leaves and the courtroom empties, Lumet’s camera moves in close and isolates the defendant. He’s little more than a frightened boy who looks as though he should be sitting in math class instead of a murder trial. The remainder of the film, which centres on the jury’s discussion, is set in a hot, airless boardroom. It has a large table, uncomfortable wooden chairs and a fan that doesn’t work. Here is where we meet the jurors, all of them white and male but very different in temperament. Included in this bunch is a stock broker, a salesman, a house painter, and a high school coach. What we don’t realize is that Lumet has already started toying with us via camera angles. He consistently keeps the height of the camera in two positions: (A) as if you were seated at the table with the jurors; and (B) as if you were standing near the table with the jurors. He creates intimacy by never letting the characters get too far away from us. He’s also forcing us to form quick opinions of these jurors, but we’ll get into that later. The judge has instructed the jury to reach a unanimous verdict. Eleven men think the defendant is guilty; one (Fonda) does not. The other jurors become frustrated with Fonda; Warden, for instance, has tickets to a ball game and wants to quickly dispense with the matter. On the surface, the men’s discussion centres around evidence presented at the trial, but what we’re really examining is the men and their motivations. As the discussion unravels, the jurors divulge the truth about themselves and we realize this is what we’ve been expecting all along. What we didn’t expect, though, is how our opinion of these characters is changing. Do you know why this movie is so riveting? It’s this: Just as the jurors see the defendant in a new way, we see the jurors in a new way. They mirror what we are experiencing as we watch the film. Lumet has cast us, the audience, as these men’s jurors. This is Lumet’s gift to us. He hasn’t merely entertained us; he’s given us a chance to expand our thinking. 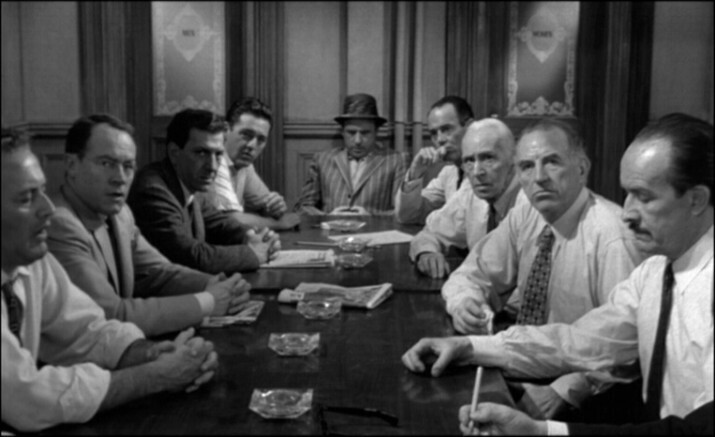 12 Angry Men: starring Henry Fonda, Lee J. Cobb, Ed Begley. Directed by Sidney Lumet. Written by Reginald Rose. 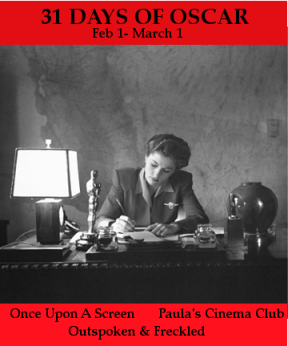 United Artists Corp., 1957, B&W, 93 mins. One of my favorite films of all time. The scene where everybody turns their back to the one bigot juror still holds power. That scene really is powerful, one of the most memorable of the movie. Thanks for dropping by! I love how Lumet really gets us up close & personal with these characters. You’re right- it’s interesting how often the silent character speaks volumes when paired in reactionary contrast with the speaking character. What an amazing and memorable film. Fantastic write-up- thanks for contributing again to our blogathon! Everything about this film is brilliant. The sparse use of music, the stark set, and the courage of the actors to be so raw with their emotions. I have to watch this film at least once a year. Great look at this terrific movie. Thank you for this appreciation of Lumet’s direction of “12 Angry Men”. For many young people of my acquaintance, this is the movie that piqued their interest in an earlier Hollywood era. Occasionally I have come across those who claim it is “merely a filmed play”. My response is to become flustered and tell them to watch it again with their eyes open. Now I can refer them to your article. Some filmed plays are gruelling to watch, but Lumet handles this script perfectly. I’m glad to hear you’re having these discussions with younger folks! Keep spreading the word about classic film, sistah! LOVE that you and the others are doing a days-of-oscar-writing-ness. you are the loveliest person. we cried a lot while writing it actually. I love this flick and Kwai so much and totally understand the Oscars at the time. Here we all all these years later and I would hate to have to choose just one of them to take with me to a stranded desert isle. Not sure if this would be accurate but I think that if we polled a younger crowd today there would be more who have seen this film than Kwai. Yes, that would have been a tough Oscar vote. I know what you mean about having to choose just one to take on a desert island! It would be interesting to take a scientific poll to see which film would be more popular with young ‘uns today. Great review. Love, love, love this film. Yes, isn’t this a terrific film? You can’t improve upon it. Fantastic, brilliantly-acted film, which I caught for the first time last year. It was very nearly one of my 5-star film “discoveries” of the year, but in the end, I came away giving it 4 – 4.5 stars. I was quite mesmerized by Lee J. Cobb. The more I see of him, the more impressed I am. What an actor!! Lee J. Cobb is one of my all-time faves. Honestly, he isn’t capable of turning in a bad role. Even if the movie is “meh”, he’s worth the price of admission. Your thoughts (as always) are insightful and thought-provoking. I have seen “12 Angry Men” so many times in my life and it never gets old because of Lumet’s brilliant direction, and the way that he unfolds a story that on the surface seems so simple. I am a HUGE David Lean fan, and often think he is the best director among any group, but “12 Angry Men” stands out because it takes an enormous amount of skill to direct here without losing an audiences attention. If “12 Angry Men” was a boring film we would say, “Well, of course. It’s just 12 men talking in a small room.” Lumet deserved the Oscar because he made something riveting out of something mundane. I’ll stop ranting now. Great thoughts on one of the all-time greatest films. Thanks as always. Ha ha! Rants always welcome. I’ve done it enough on your site! You’re right about the skill it takes to turn a no-action film into something mesmerizing. With this film, Lumet proves he was a genius – and he made it look so darn easy! 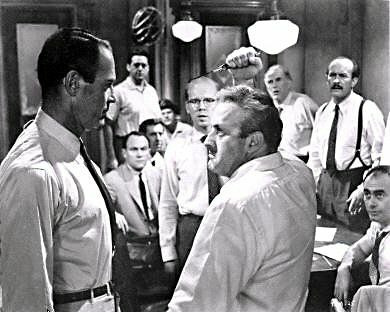 Ruth, 12 ANGRY MEN has always resonated with me because my mom and stepfather both worked in the Bronx Judicial system. 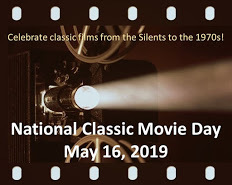 In particular, my late mom worked with families in crisis, so Mom’s real-life experiences hit home for us; “there but for the grace of God…” So you see, 12 ANGRY MEN is especially meaningful to us, and you truly wowed us with your moving post, my friend! Dor, that’s really interesting about your mom and stepfather working in the judicial system. I can see why this film would have so much meaning for you and your family. I’m glad to know your mother helped families in crisis. I bet those she helped have never forgotten her. I agree with you that this film should have won best film that year. It is incredible that a movie set mostly in 1 room and only includes people talking could be so riveting. It is one of my favorite movies, but you pointed out so many things that I hadn’t noticed before in your post. For instance, the camera angles so that you feel like you are in the room standing or sitting with the jurors. Also, your thought provoking conclusion about “the audience being these men’s jurors.” It made me want to see the movie again as soon as possible. I’m so glad you’ve had a chance to see this film. It is an example of sheer brilliance, isn’t it? I try to convince everyone I know to drop everything and watch it. You make a good point. When you think about it, these two directors have each done something at the extreme ends of the scale – Lean filmed the massive, Lumet filmed the microscopic. Oh, how I love this film! Back before DVRs, I’d change my plans if I saw it listed in a programming guide. It’s a masterful work and really does show what a powerful medium film can be. This movie is worthy of re-arranging your entire week. You’re absolutely right when you say it shows what a powerful, and intimate, medium film can be. You’re right about River/Kwai not looking dated. Really a terrific movie. I bet it cost a WAD of cash to make…but I think it’s a story that needed a big budget. I got the Blu-ray of ’12 Angry Men’ for Christmas and have just watched it today – I’d never seen it before and was gripped throughout. I was slightly surprised that it was all men (you’d think the title would have given me a clue, but somehow I expected at least one woman), but I do agree it is gripping and fascinating to see how the men’s different personalities emerge and we in the audience end up judging them, as you say. I think it adds to the power that we never see any of the court case itself and only pick it up at second hand. So glad you had a chance to see this, Judy. It is a gripping film, isn’t it? You can’t tear yourself away. The first time I saw it, I was a bit perturbed at the absence of women. I mean, men still dominate the movie industry…but because this film is so good, I’ve decided to forgive it.